Lucy Hale made her way to the pink carpet yesterday evening(August 12th) to present at the 2018 Teen Choice Awards at The Forum in Inglewood, CA. 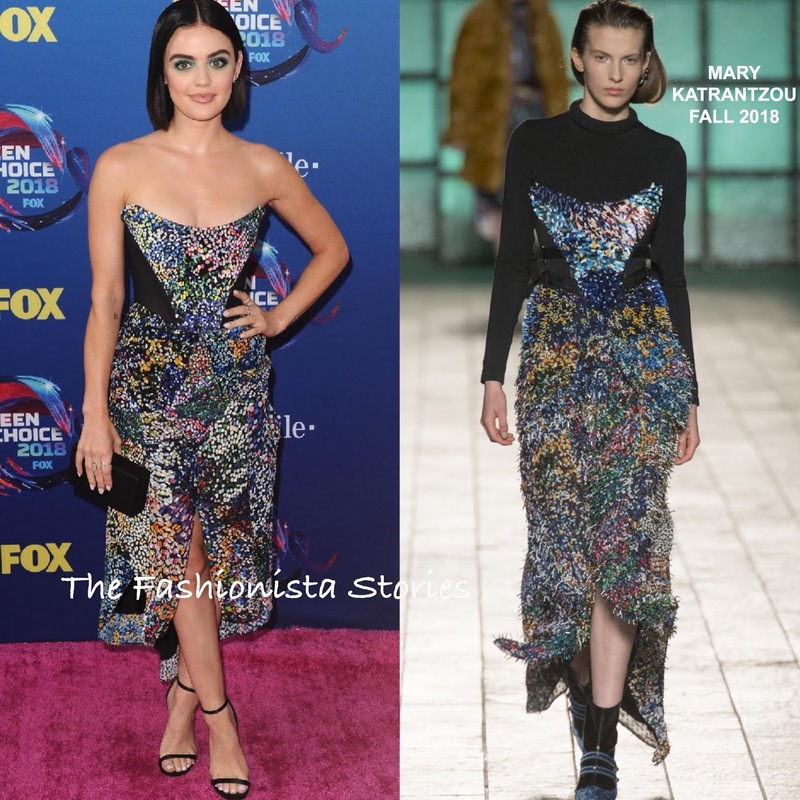 Working a playful look, she wore the MARY KATRANTZOU FALL 2018 'Bysshe' strapless multicolored beaded dress, featured contrasting black side panels and a high-low hem detail. On the runway, Lucy's dress was layered with a black turtleneck, which of course she didn't need. I like her beauty look which featured a center part bob & edgy green smokey eye which complimented her look. A black clutch, KAT KIM jewelry and JIMMY CHOO sandals round out her look.